Let Price Construction redesign and remodel your existing kitchen to turn it into the kitchen of your dreams. We provide and install all plumbing, electrical work, countertops, cabinets, tile, hardware, and more! Price Construction is your one-stop shop for all your remodeling needs. We’ll help you pick out all the items for your new kitchen, and bring everyone (contractors, plumbers, electricians, etc.) to you. Call us today for a FREE estimate within a few days. 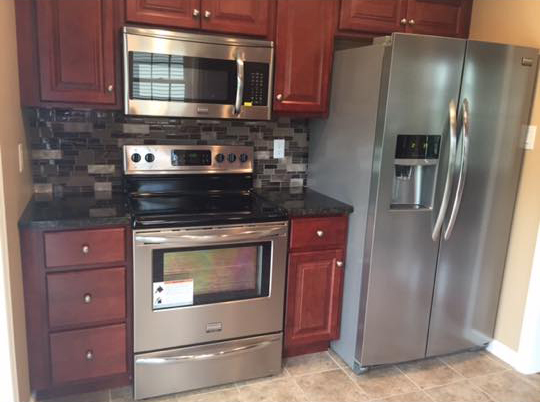 Price Construction is a family owned and operated company, providing large-scale kitchen repair services, too! Call us anytime for 24-hour emergency service. Your satisfaction is the most important thing to Price Construction Our owner is very hands-on and involved in the process to ensure everything runs smoothly. We offer a 1-year warranty on all labor and materials.